Ongoing frustration with national solar policy has allowed local authorities and regional government to take the lead in UK solar deployment, the Solar Trade Association (STA) has said in a new report. The report, dubbed ‘Leading Lights: How local authorities are making solar and energy storage work today’, compiles more than 20 examples where local authorities (LAs) have deployed solar and/or battery storage to provide a range of benefits to local residents. This, the STA said, is evidence of how local councils are now “leading the way” on solar in order to save money and provide stable sources of revenue, which are in turn are used to fund services. 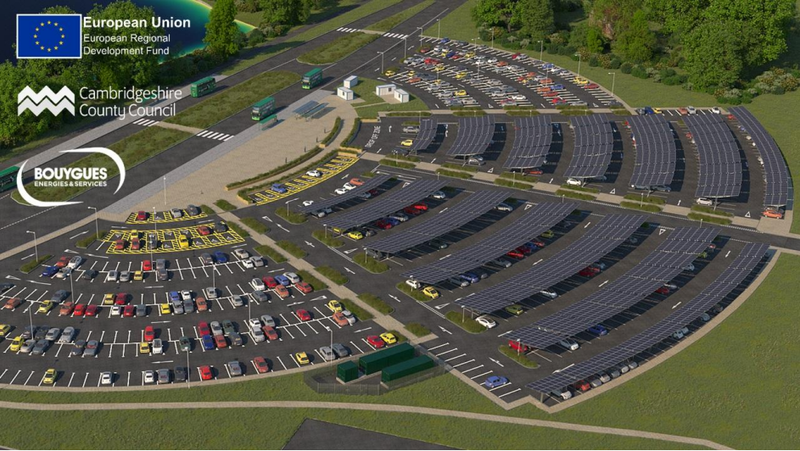 Some of the highlighted case studies within the report include a 7.4MW subsidy-free solar farm connected to a 4MW battery storage facility developed by West Sussex County Council and housing developments, like Plymouth City Council’s Bickleigh Down Eco Village, which use on-site solar to help alleviate fuel poverty. The report also finds LAs to be in a “unique position” to adopt solar due to their exceptional terms of finance – with LAs able to source cheaper finance than private organisations through entities such as Salix – and their ability to pursue projects with longer timescales. Chris Hewett, chief executive at the STA, said that leadership in UK solar was now coming from local councils, and increasingly from regional governments. “Local people want a stake in clean energy, so they understand the tremendous value of solar and energy storage – both hugely accessible technologies. We’ve been impressed by the level of innovation and political leadership being demonstrated today by some councils. The report also narrows in on 10 specific recommendations to LAs in order to make the most of solar, including making full use of planning powers to enforce higher energy performance requirements in new developments, making full use of interest-free loans from the likes of Salix Finance and to be more ambitious when planning solar developments. The STA has also called on councillors and officers to get in touch with the association if it is interested in solar and storage at any level. The STA is to organise regional workshops – the first of which is to be held in East Anglia – to help spread best practice. Leonie Greene, director of advocacy and new markets and author of the report, said there was a frustration with national policy, which has prompted renewed focus at the local level. “Our research showed that better national policy is needed to support domestic and community solar and the great ambitions of local government to use solar to tackle fuel poverty. Government should also end the unfair business rate treatment of rooftop solar for self-consumption. Leonie Greene will be writing on the subject of the report and local authority solar on Solar Power Portal next week.